Midway Through Our Winter - And Its Been Fairly Uneventful So Far. 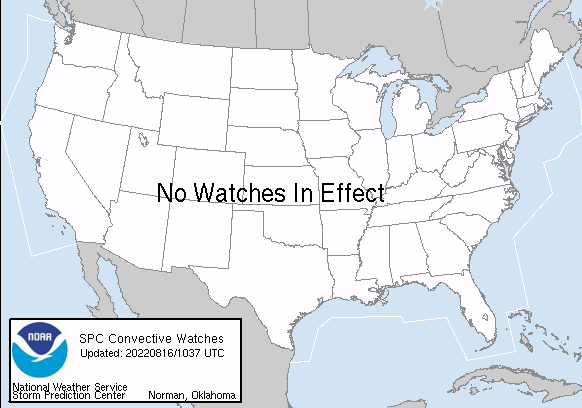 Much like the photo above our winter locally thus far has been rather uneventful. 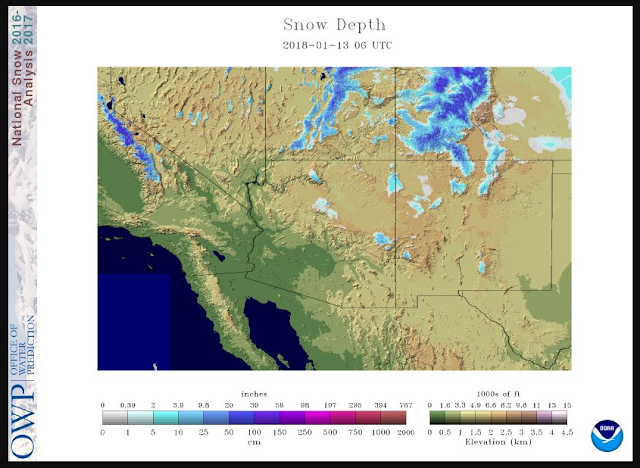 Snowfall across New Mexico this winter continues to be much below normal. 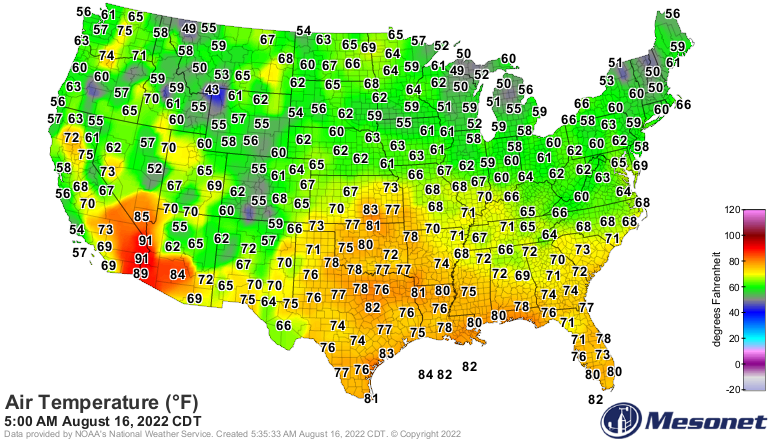 Overall our temperatures have been fairly mild east of the mountains and much above normal west of them. Ski Apache west of Ruidoso has only measured 20" of snowfall to date for this season. 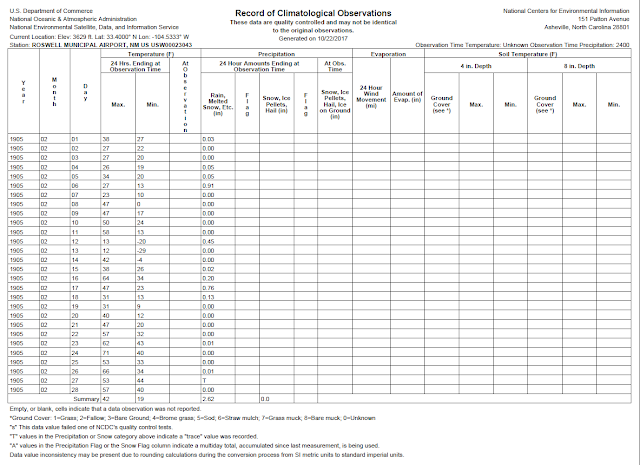 The Cloudcroft CoCoRaHS Station located 0.4 miles ESE of the Post Office has only measured 12.0" for the season to date. The Ruidoso CoCoRaHS Station located 2.9 miles SW of the Post Office has only measured 0.7" for the season to date. U.S. Snow Cover This Morning. New Mexico Snow Cover This Morning. (January 1st -January 12th, 2018). (December 1st, 2017 - January 12th, 2018). (January 1st - January 12th, 2018). 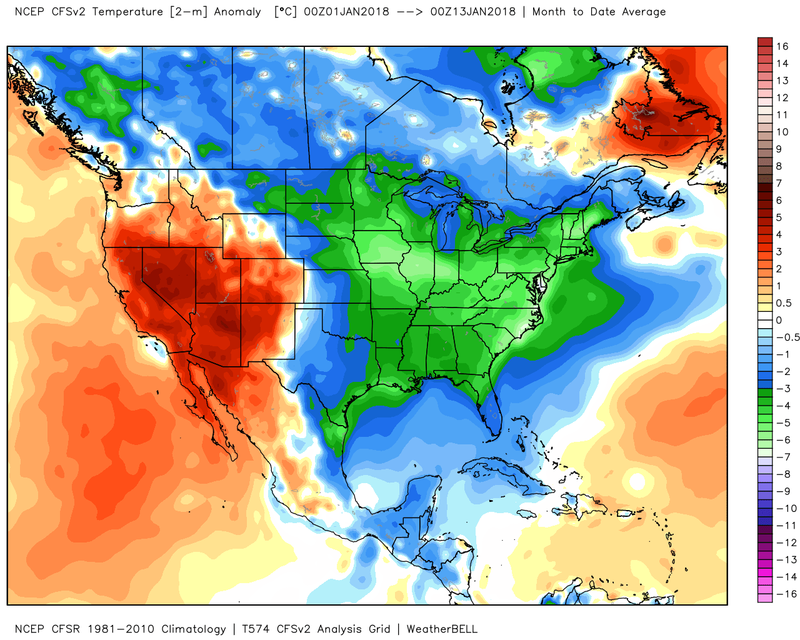 While much of the nation east of the Rockies is averaging colder than normal this winter most of New Mexico is averaging above normal temperatures. 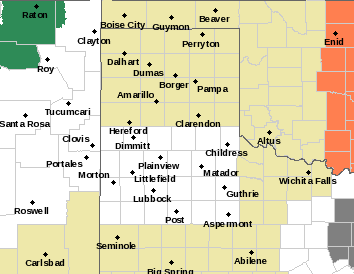 The exception is the eastern plains near the Texas state line where temperatures are averaging near normal (1981-2010). 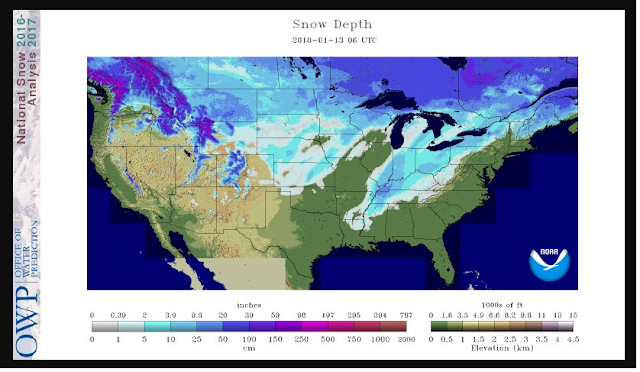 This is based in part on the shallow arctic air mass intrusions that have not been able to penetrate west of the east slopes of the Rockies. Shallow Arctic Air Mass East Of The Rockies. (Christmas 2017 - January 4th, 2018). 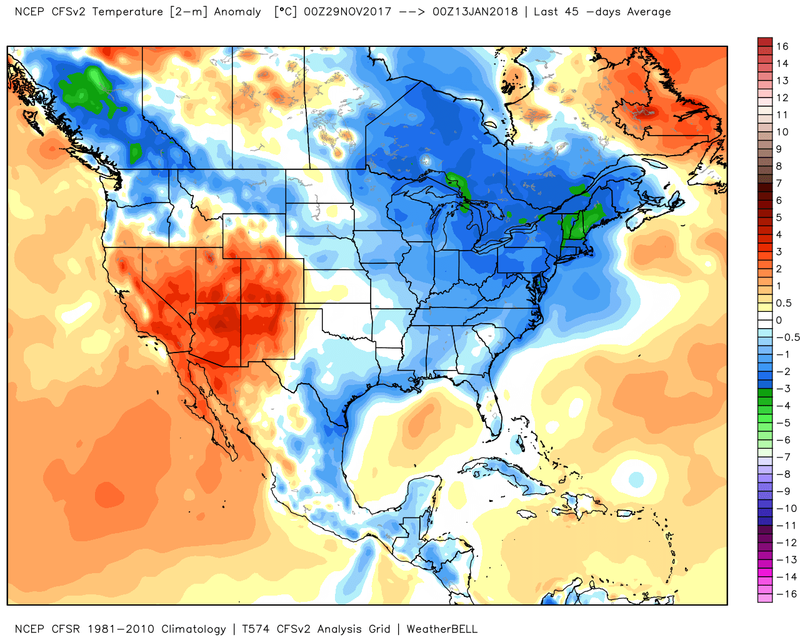 New Mexico was almost divided in half by the arctic cold fronts moving southward out of Canada and down the Eastern Plains from Christmas through the first week of this month. 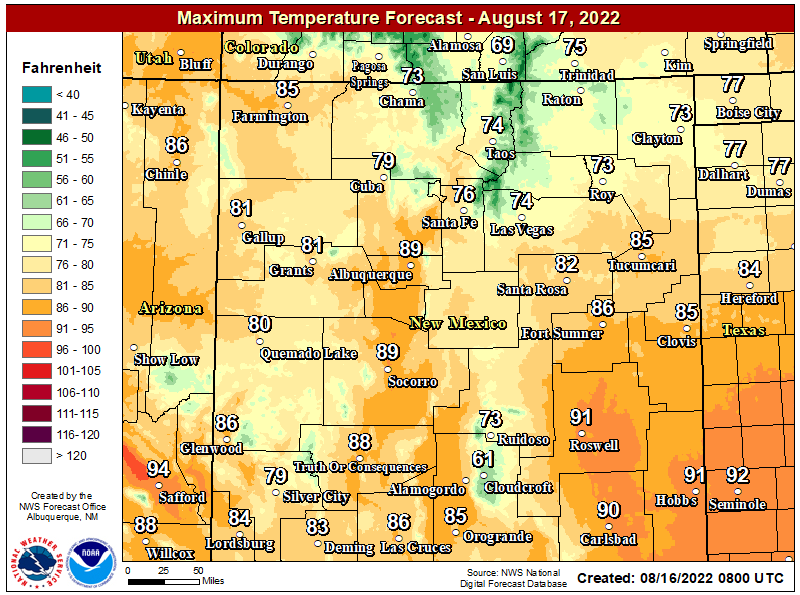 Notice that the temperature anomaly dividing warm than normal temperatures laying roughly along the Central Mountains chain. The western third of the state was above to much above normal temperature-wise during this time frame (brown and orange shades) while east of the mountains temperatures were below normal...especially the further you went north and east of us. 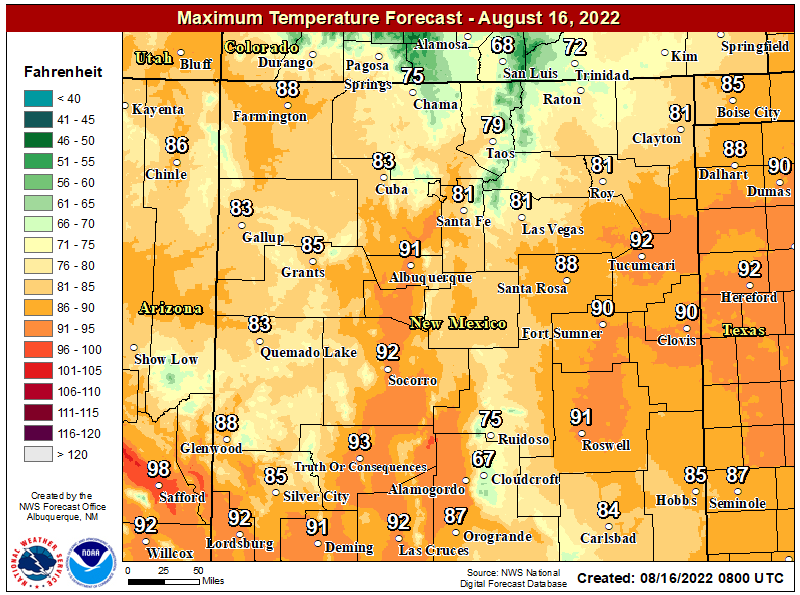 New Daily Low Maximum Temperature Records. (New Mexico January 1st - 9th, 2018). Even though it did get cold with these arctic air mass intrusions from Christmas through last week we didn't shatter the record books. The Carlsbad Climate Co-Op Station established a new record low maximum temperature on the 2nd of this month with a reading of 25ºF. 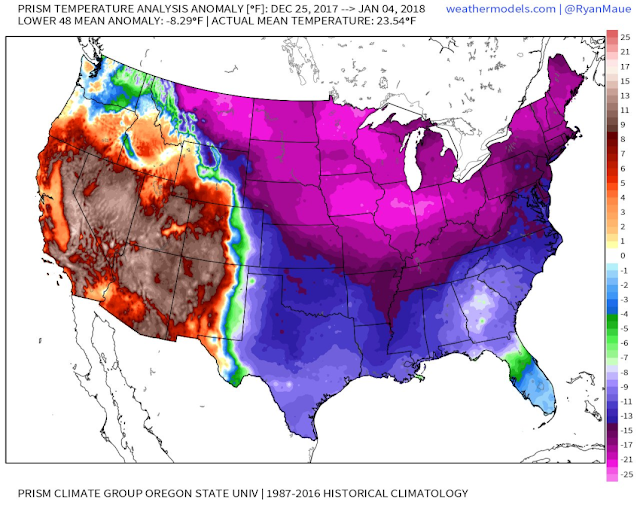 That broke the previous record of 27ºF last set on January 2nd, 1947. That's cold for a daily high temperature but far from being in the all-time lowest daily high temperature record category. New Daily Record Low Temperature Records. (New Mexico January 1st - January 9th, 2018). 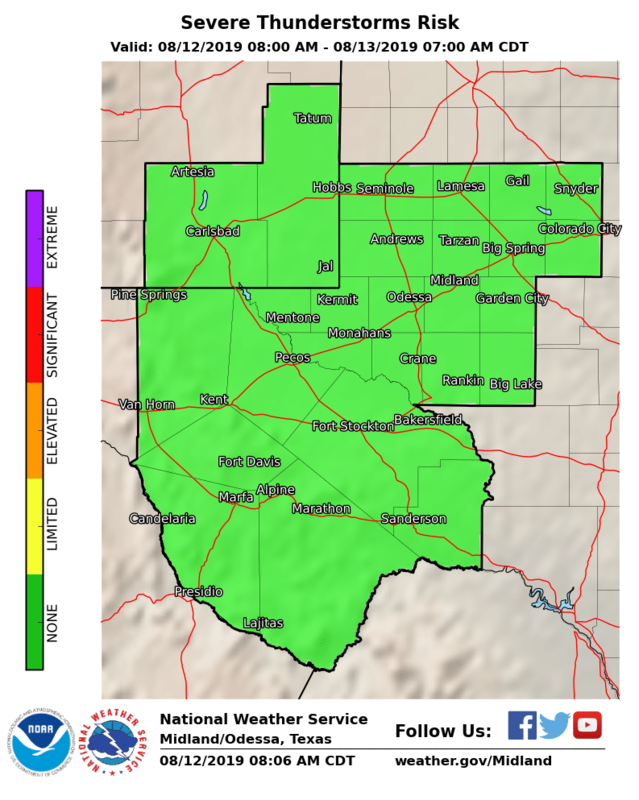 Not to say that we haven't had some cold weather this winter but overall the storm track has spared most of the local area from the worst of this winters storms and cold. Compared to our historical worst arctic outbreaks this winter has been tame. 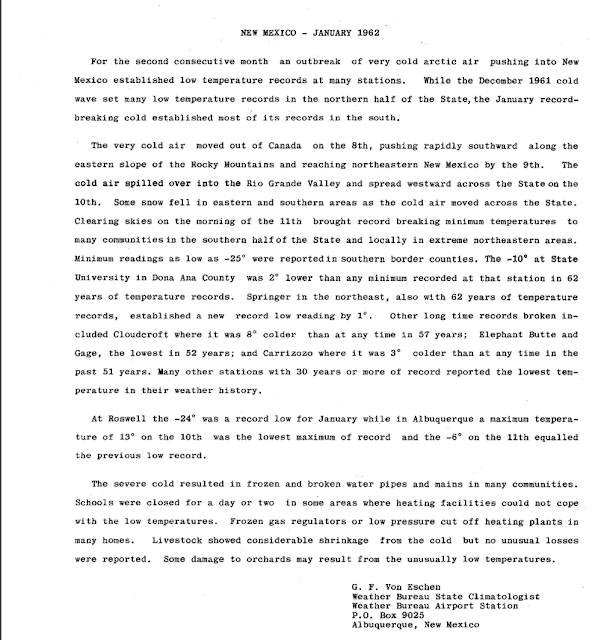 Looking Back At The 2nd Coldest Outbreak In SE NM History. 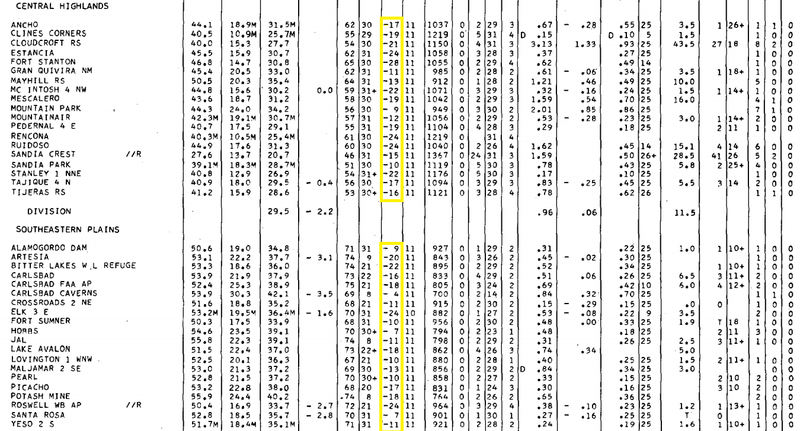 Locally if you want to define cold then consider what happened in January 1962. Low Temperatures January 11th, 1962. 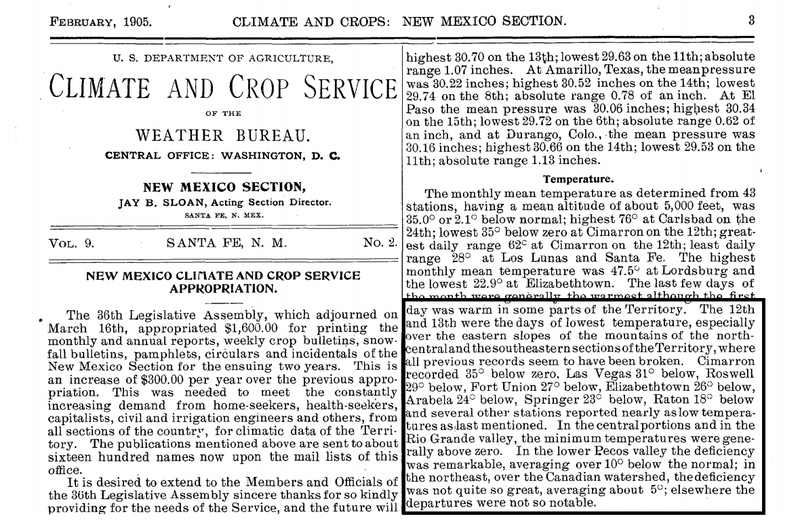 On January 11th, 1962 the Artesia Climate Co-Op Station located 6 miles SSE of town at the New Mexico State University Agriculture Science Center recorded a high temperature on the 10th of 10ºF. That night their low temperature bottomed out at -24ºF. I have carbon copies of these records to prove this but I can't scan them to my computer...looks like I need another copier. I'll scan them at a later date for arguments sake. 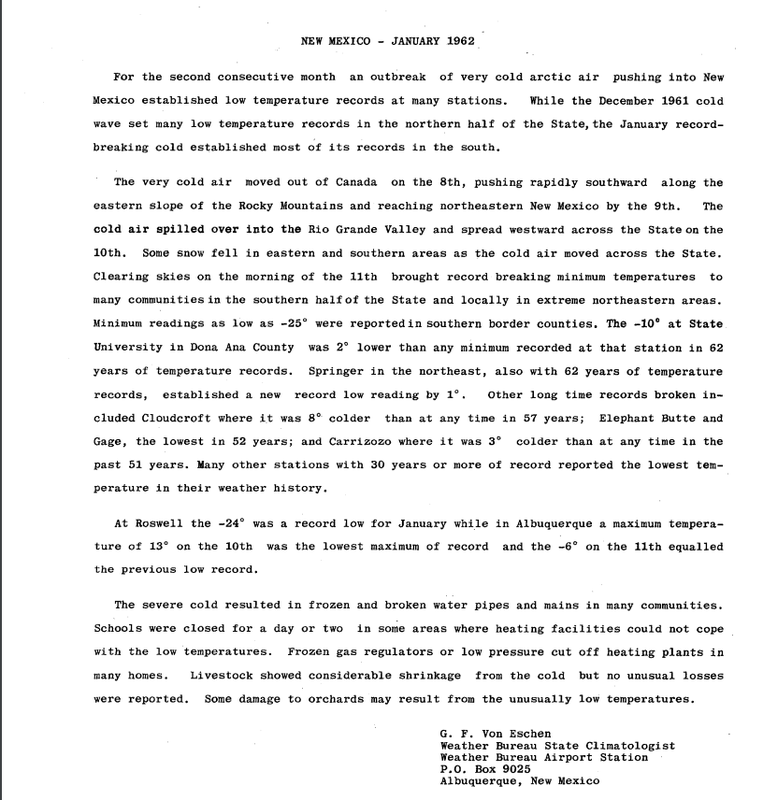 Roswell also dropped down to -24ºF on the morning of January 11th, 1962 after an afternoon high temp of 11ºF on the 10th. 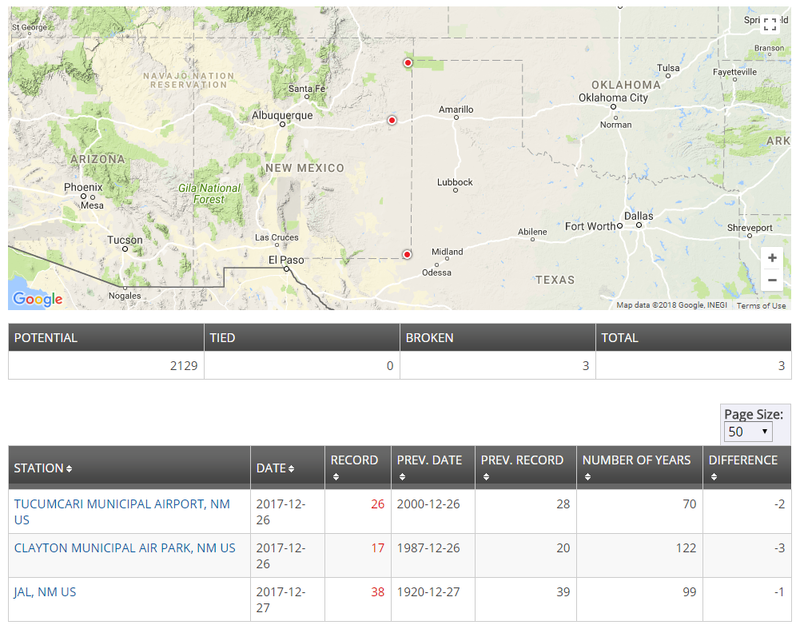 Fort Stanton recorded the coldest local temperature with -28ºF. Ruidoso, Estancia, and Elk all dipped down to -24ºF. The Bitter Lakes Wildlife Refuge was close behind with a low of -22ºF, and Cloudcroft -21ºF. 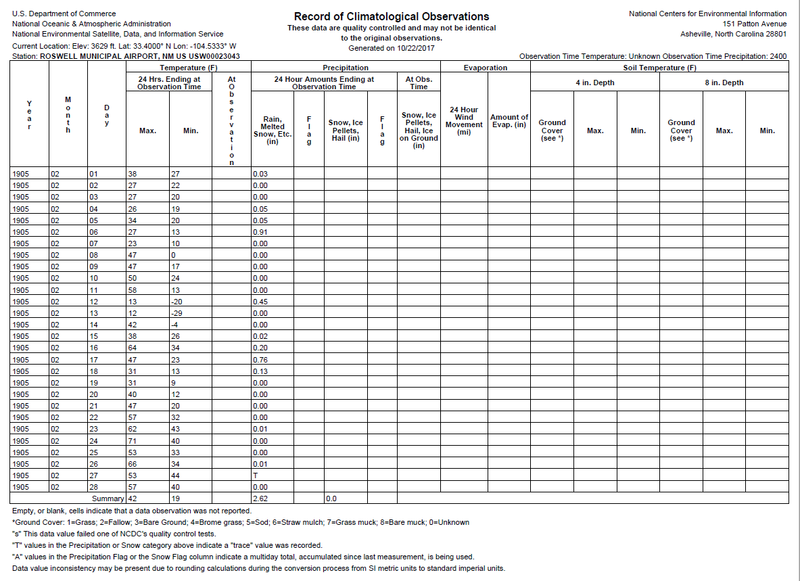 Carlsbad recorded its coldest low temperature that morning with a low of -18ºF at the airport. 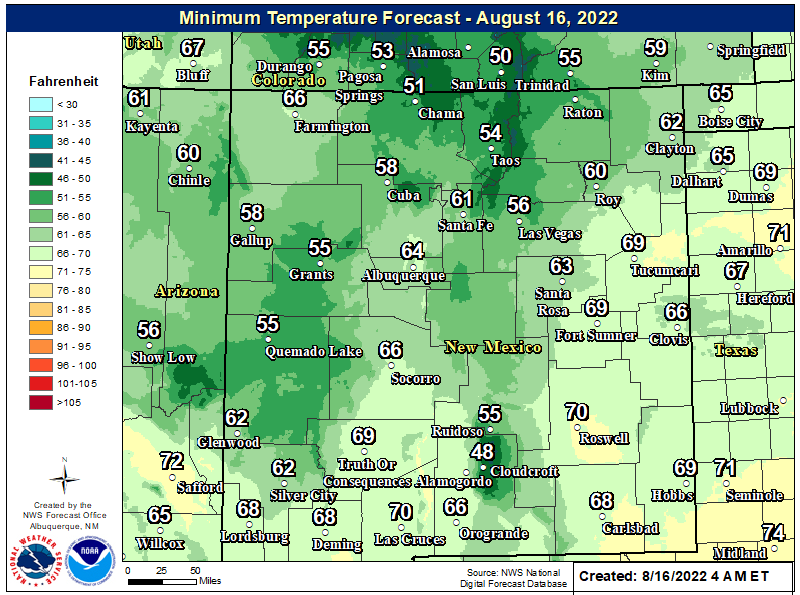 Not only was it extremely cold in Southeastern New Mexico that morning it was also very cold across other areas of the state. 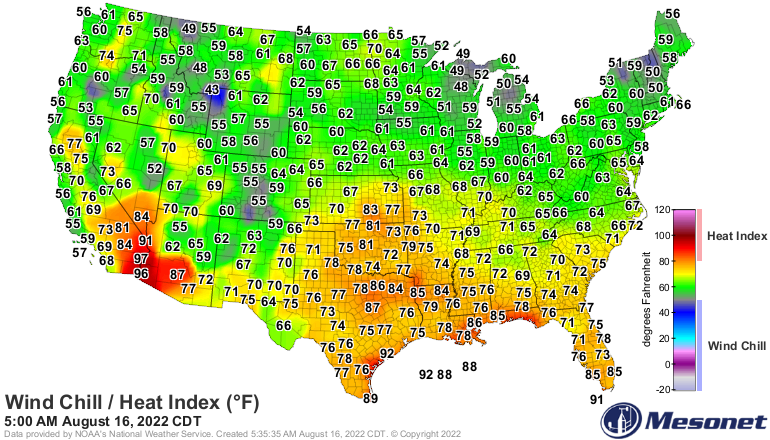 Eagle Nest checked in with the states lowest temperature of -47ºF, Red River -34ºF, Maxwell -33ºF. 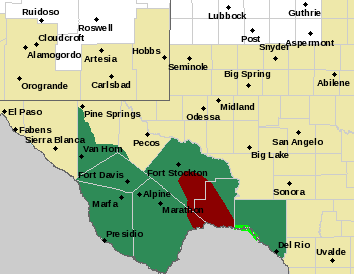 The Augustine Climate Co-Op Station in the Southwestern Mountains of the state checked in with a low of -33ºF, Quemado in West-Central New Mexico fell to -25ºF and Springer in the Northeastern Plains -32ºF. 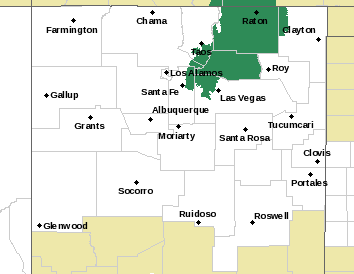 The White Sands National Monument Center recorded a low of -25ºF and Alamogordo -14ºF. 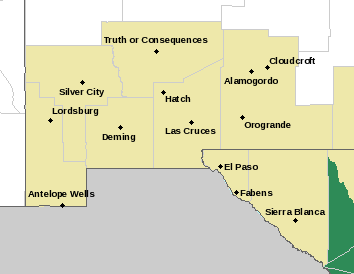 The Bosque Del Apache Climate Co-Op Station in the Central Rio Grande Valley fell to -19ºF, Silver City -13ºF, while Socorro recorded -11ºF. The Albuquerque Weather Bureau Office (renamed to National Weather Service years later) fell to -6ºF. 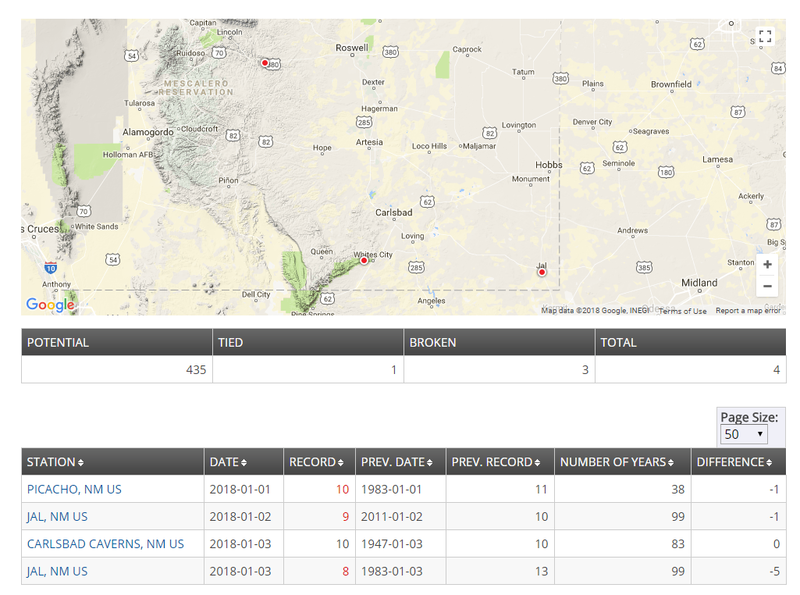 New Mexico's third coldest temperature (-47ºF) was recorded at Eagle Nest on January 11th, 1962. 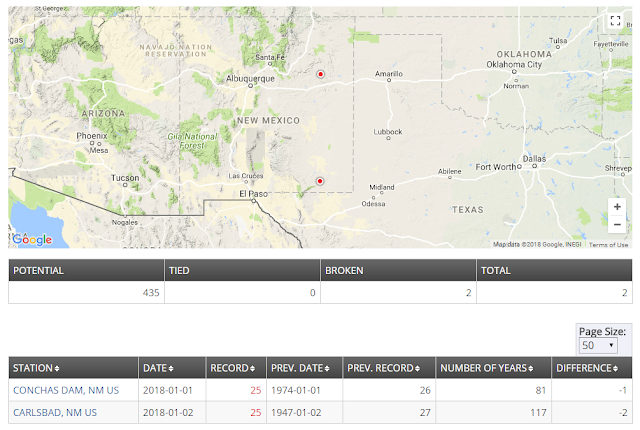 On February 1st, 1951 Gavilan located in Rio Arriba County, in Northern New Mexico, broke the states previous official coldest temperature record of -48ºF set on February 8th, 1933 at the Dulce Climate Co-Op Station. 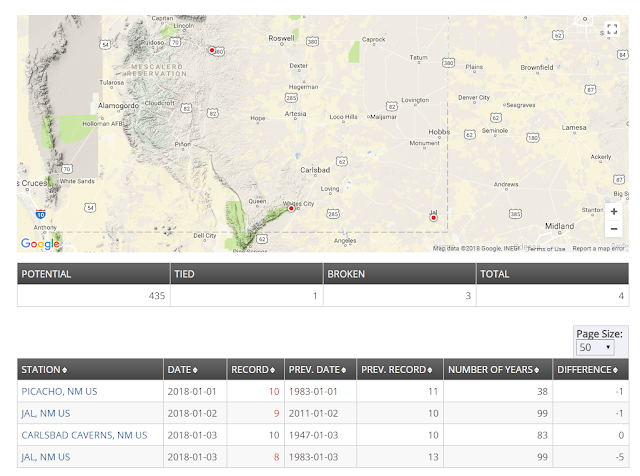 Gavilan's record low temperature that morning of -50ºF still stands as New Mexico's lowest official reading. 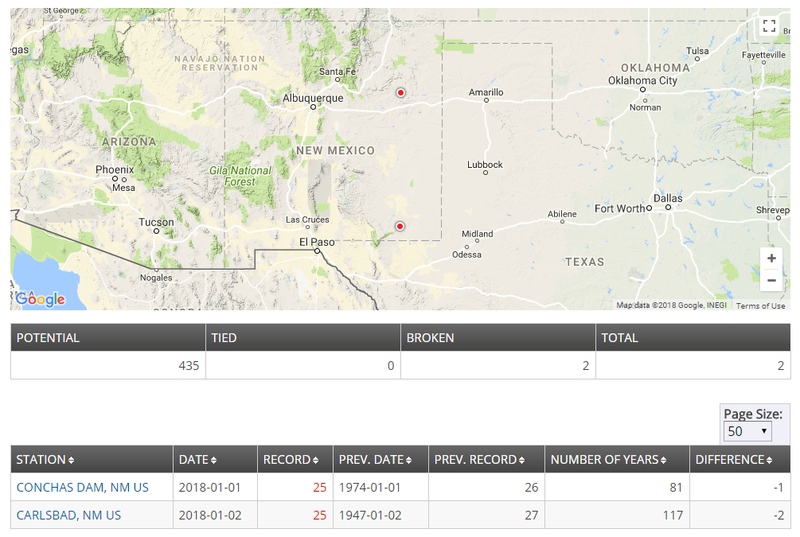 When you look at the historical climate data for Artesia via the Midland National Weather Service Office Climate Page you find that the high temperature on January 10th, 1962 in Arteisa is recorded as 19ºF. The low temperature that night is recorded as -20ºF. 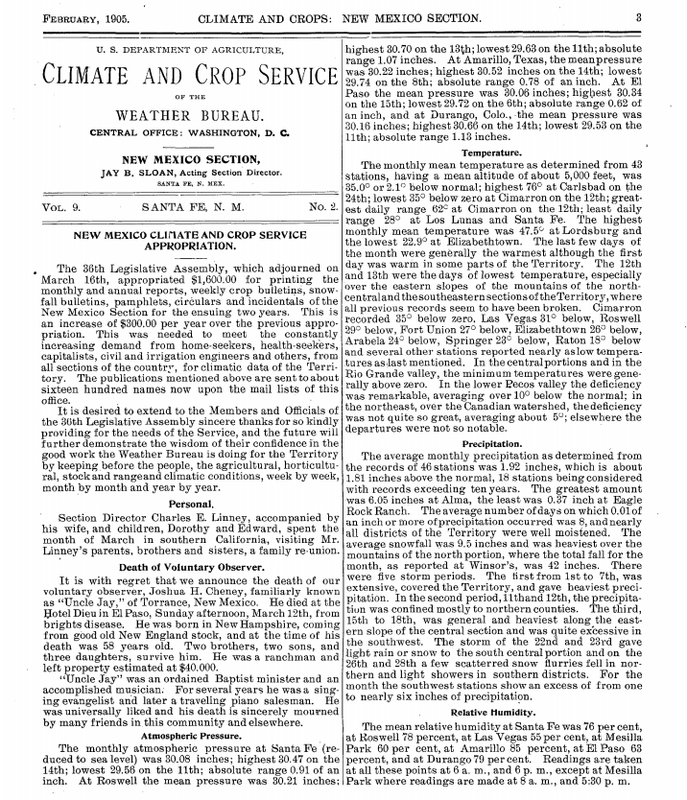 So it appears again another case of NOAA's tampering with the historical temperature data sets in order to fit their support of the Climate Change narrative. Just for the record it is not my intention to make the National Weather Service look bad or accuse that government agency of any type of misdoing concerning the Climate Change Agenda. I've been an strong supporter of this organization for forty five years and continue to do so! I have nothing but respect for the many gifted and talented meteorologists who work at our nearby Forecast Offices. I've developed a friendship with some of these folks over the years and I cherish that. 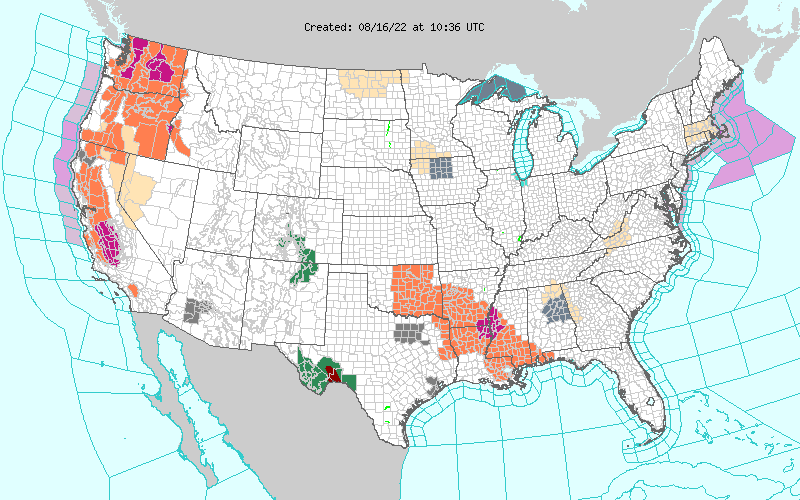 Although the National Weather Service has its share of meteorologists who support the Climate Change Agenda it is my opinion that not all their staff agree with this agenda. Nor with what has happened to the historical climate data base (altering of historical records to fit the narrative of Climate Change). 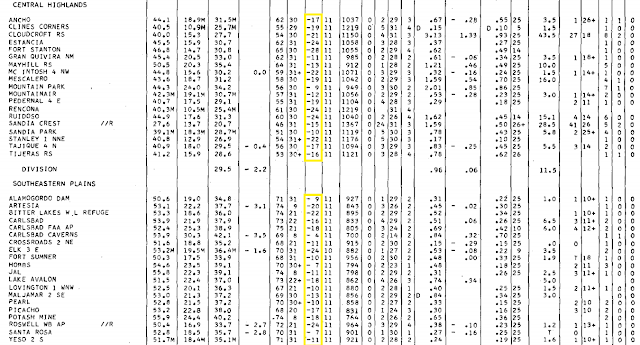 I fully blame those individuals within their parent organization NOAA for these historical temperature alternations. Those meteorologists and Climatologists who have chosen to be a party to the Politically Driven Climate Change Agenda. However I am at odds with an idea, a political narrative, the idea and belief that mankind can somehow alter the planets climate through the use of fossil fuels. Weather cycles and so does the planets climate. Always has and always will as long as there is an atmosphere surrounding the planet. 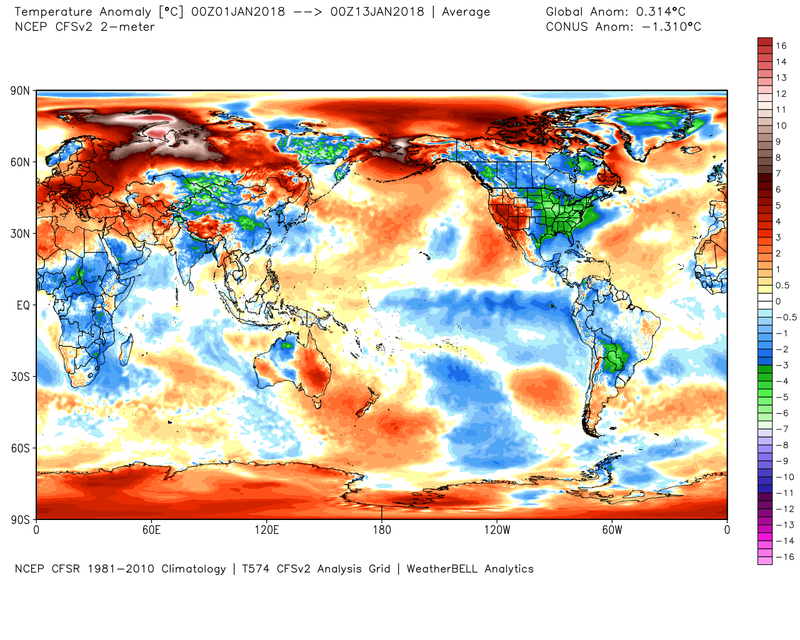 Yes the planet entered a warming phase after the 1970's through about 1998. 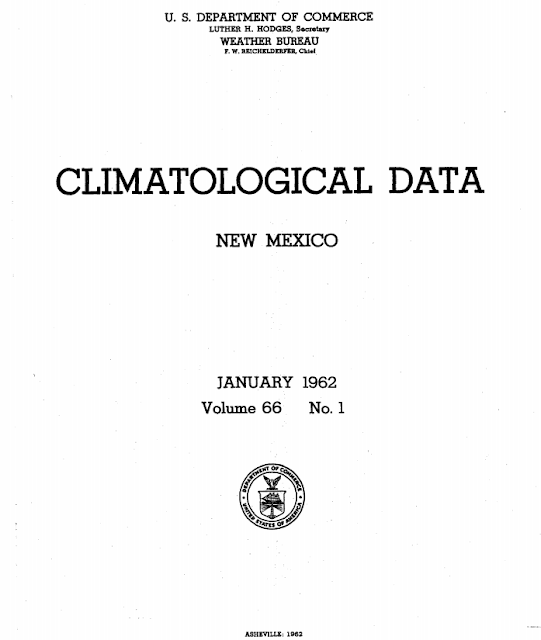 This can be attributed to the Solar Cycles, Warm Pacific Decadal Oscillation, and the strong El Niño's over the past 30 years, and other factors. Was February 13th, 1905 Colder Than January 11th, 1962? 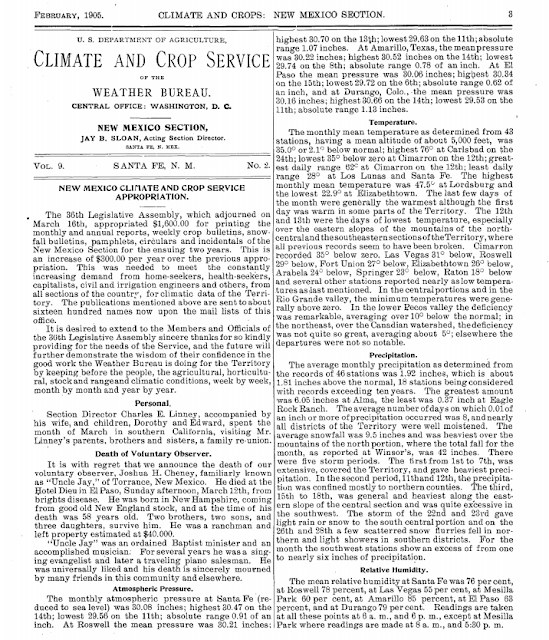 Lets not forget that on February 13th, 1905 Roswell recorded a high temperature of only 12ºF after an overnight low of -29ºF. 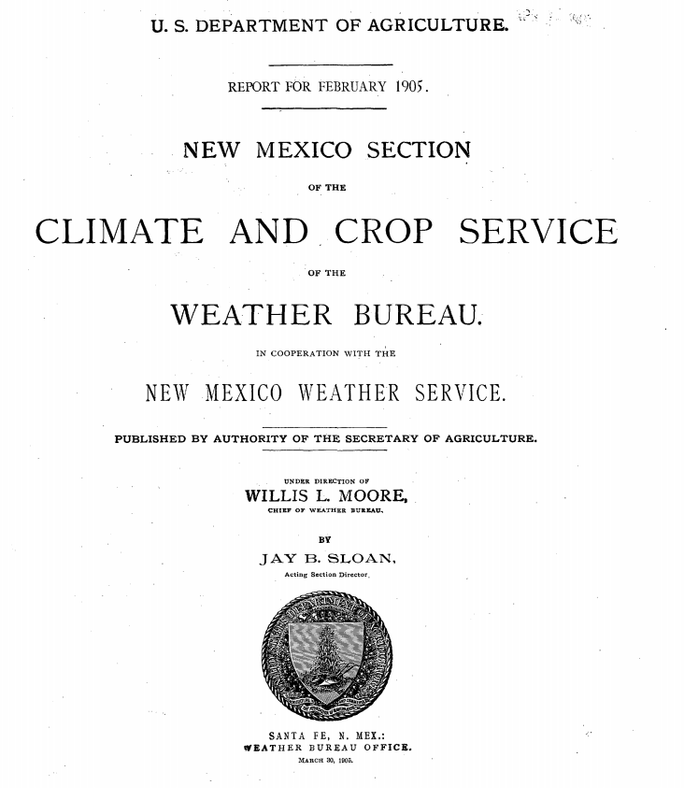 Most of the local Climate Co-Op Stations that were in operation on January 11th, 1962 were not in service on February 13th, 1905. So its hard to know if the 1905 event was worse than the 1962 event locally. 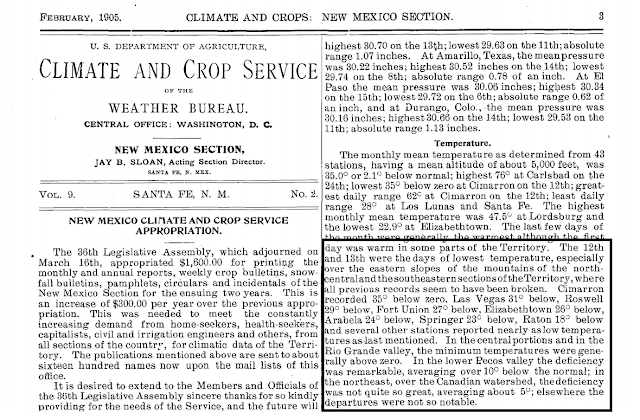 February 8th, 1933 still stands as the coldest outbreak in Southeastern New Mexico.